A quick and tasty way to get in those greens to keep you going strong. Remove stalks from the kale and discard. Tear the leaves into bite-sized pieces and place in a steamer. Steam for about three minutes or until the leaves are bright green. You can eat kale raw, but it is easier to digest if cooked a bit first. Drain the kale and set aside in a bowl. Drizzle with olive oil and toss, coating the leaves. 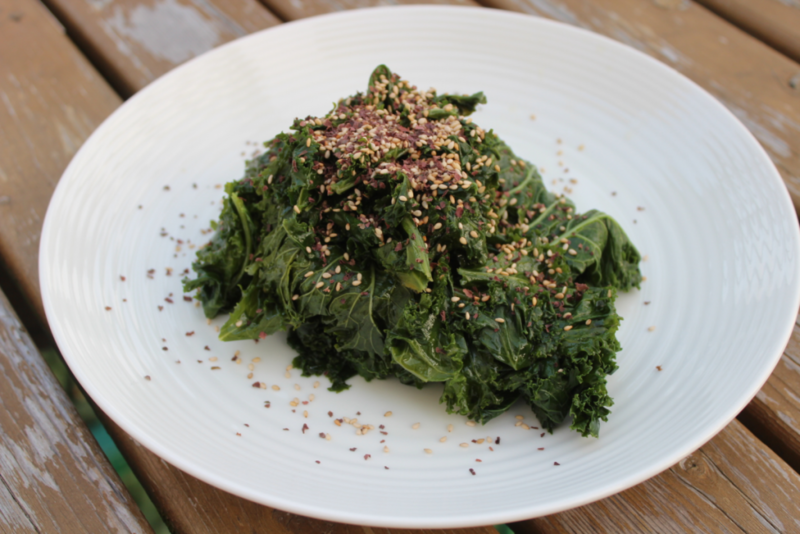 Sprinkle sesame seeds, dulse, salt and pepper over the kale. Serve as a side or on its own for a boost of green power.